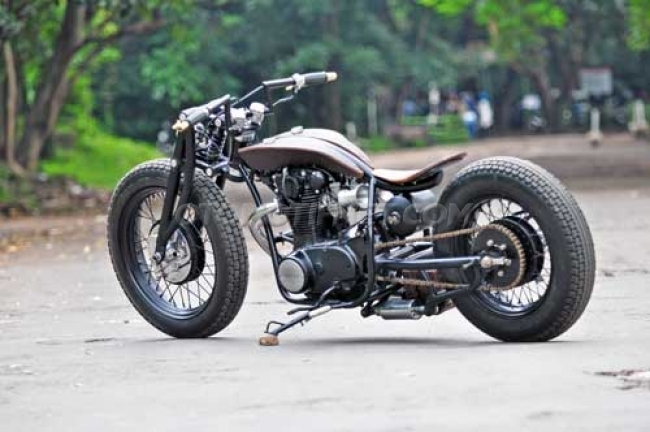 A modified motorcycle that present on the article this time is a motorcycle built from Yamaha XS650. According to the owner (named Angga, a culinary entrepreneurs), previously the motorcycle has been modified but the results was less than satisfactory. So he decided to make modifications on this motorcycle again. 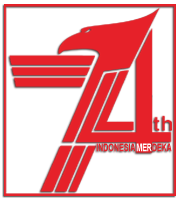 Then he contacted Ram Ram Januar, the owner of White Collar Bike (WCB) workshop in Bandung. "Frankly this is outside the existing schedule in WCB, but since it's for a charitable and no profit, so I decided to accept on the condition that no time limit and the design is up to me," said Ram Ram. Ram Ram just asked what the motorbike style desired by Angga, and turns the selected style bobber. 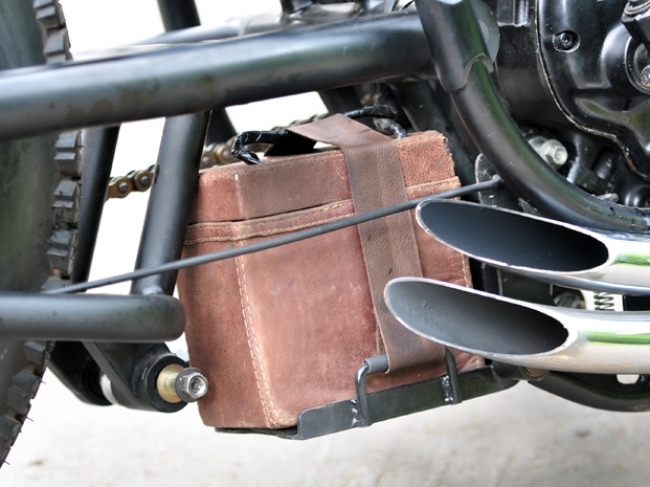 The builder then redesign the motorcycle from zero in accordance with his imagination, so that all the existing ones removed, just taken the engine alone! The first step to make the framework of seamless steel pipe, using a double cradle that hug machine and combined big backbone, and leaving only the short end for a single seat. 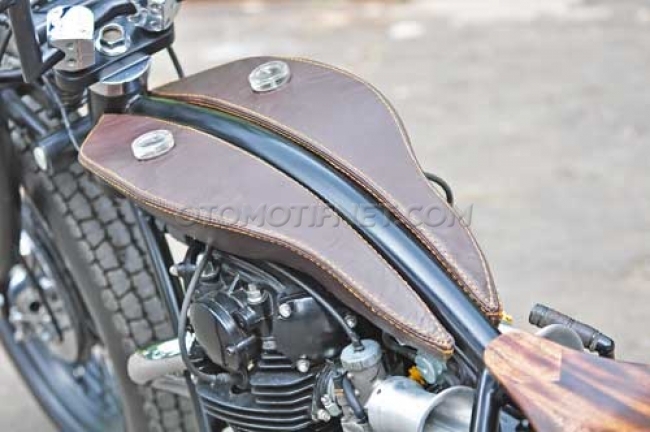 Then among the backbone mounted a split model of fuel tank made from aluminum and leather wrapped. For motorcycle seat, it made of the sonokeling wood (rosewood) formed thin and wide. The seat was hard enough, but cool! At the front, the legs are made with the concept of girder fork, to show the impression of the old school. 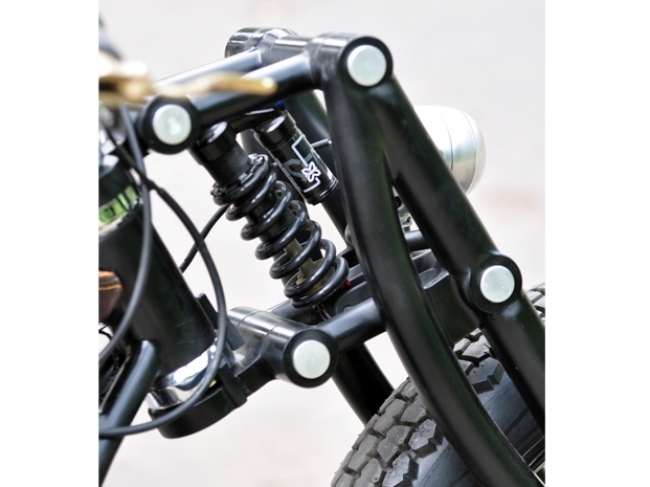 In order to remain comfortable while riding, then given a single shock absorber in the middle, which is taken from a downhill bike. 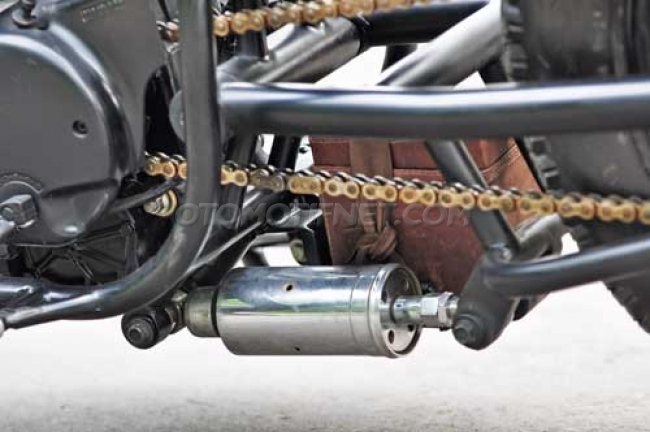 While the rear uses a custom tubular swing arm, combined with an aftermarket monoshock of Harley-Davidson Softail model located under the machine. 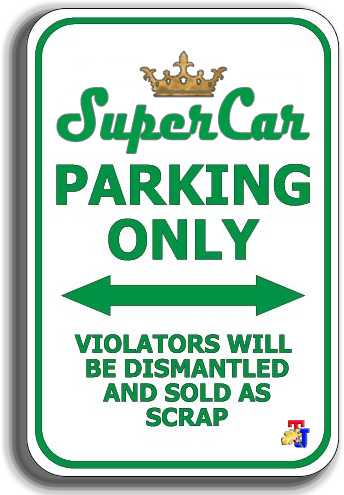 The use of this model suspension makes the back side looks more cleaner. And for its wheels, it using two rims spokes models, the hub of its blend of Yamaha SR and old Kawasaki. 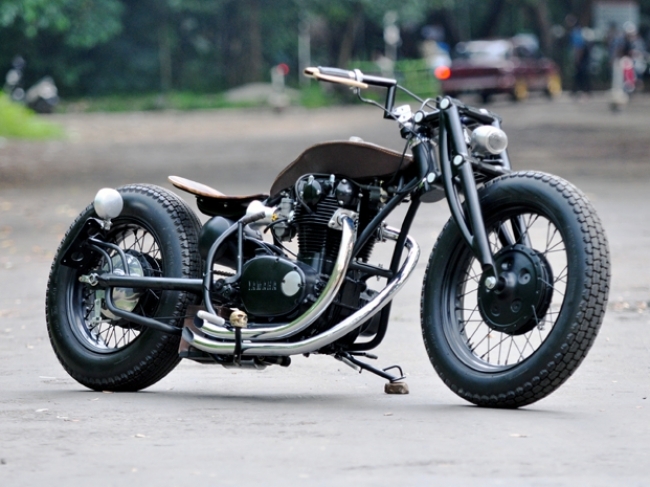 Next, this modified motorcycle wearing the wide-profile tires of Avon, in accordance with the bobber theme. For the front tire uses 4.00-18 and 5.00-16 rear. 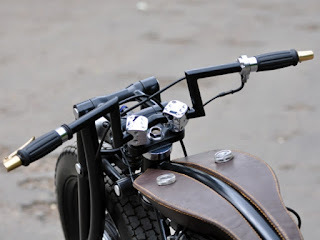 For the supporting details of the cool motorcycle named 'Kemosabe' is very interesting, like the chrome exhaust pipe configured 2-2, Z handlebars model, the battery box wrapped by leather and custom handle with cord planted.